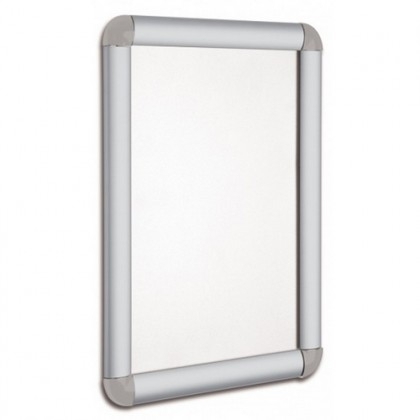 Our very lowest priced poster snap frame! Visually, these silver frames are the same as our standard stock range of snap frames, but they are supplied without a back panel. Once fixed to a flat surface, this acts as a back panel for your poster to sit against. Durable silver anodised finish, recommended for internal use only. The frames are available in various stock sizes. The frames are built with round moulded corners. Available in various stock sizes. 25mm extruded aluminium frame with a 0.5mm Anti-Glare Cover. Complete with wall fixing kit.